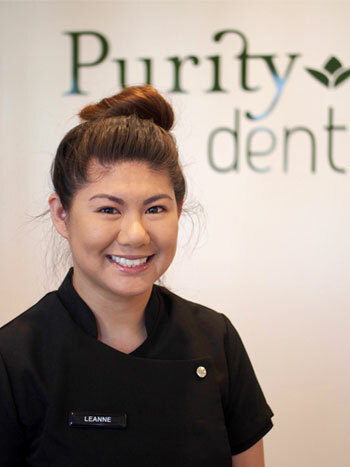 Leanne is our senior nurse at Purity Dental whom has been with us for many years. She is very experienced and knowledgable, so if you have any questions or concerns, don’t hesitate to ask her. Her passion in the dental industry shows through her energetic attitude, as she will go the extra mile to make you feel welcome. She winds down after work by enjoying a walk with her Pembroke Corgi, Milo. On the weekends, she loves spending time in the kitchen cooking up a storm for her family & friends. Leanne is currently on maternity leave, is expecting a little girl in early 2018!